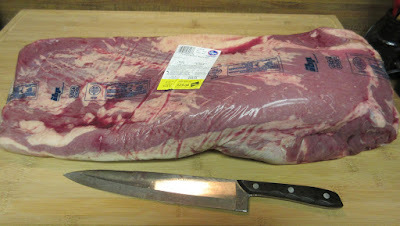 My Mrs found choice briskets on sale at Kroger this week so we're off on another smoking adventure. This one weighed in at 17.4 pounds before trimming and lost about 3 pounds to fat trimming. 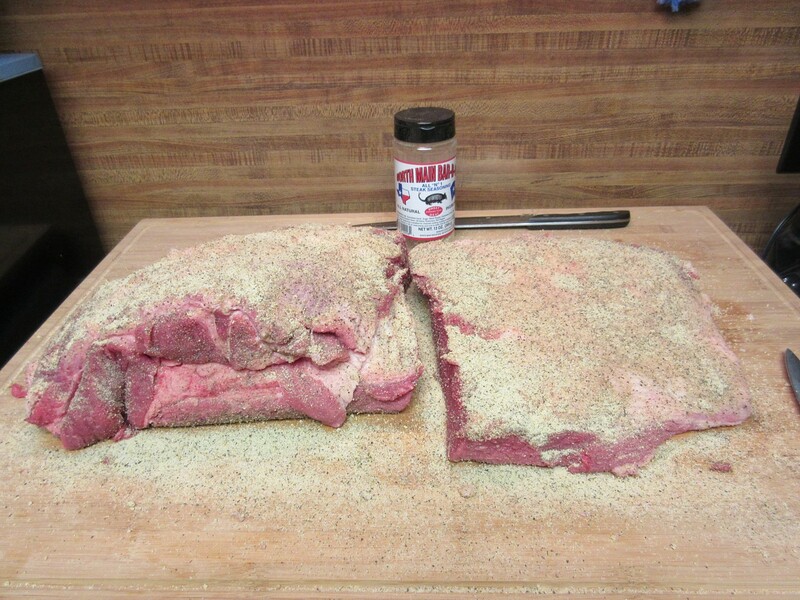 As usual, we had to split it in half to fit in our little bullet smoker. The only seasoning was a good coat of North Main BBQ All "N" 1 steak seasoning. The meat went onto the smoker a little after 2 pm so it should be done about 4 am. We plan to finish it off wrapped up in the oven so we may just keep it warm til lunch time on Monday before slicing. Here's the view 9 hours in. Into the oven they go, wrapped in foil for another 4 hours to tender up. A few little sample pieces had some very nice smoke flavor. My Mrs gets the smoke credit. 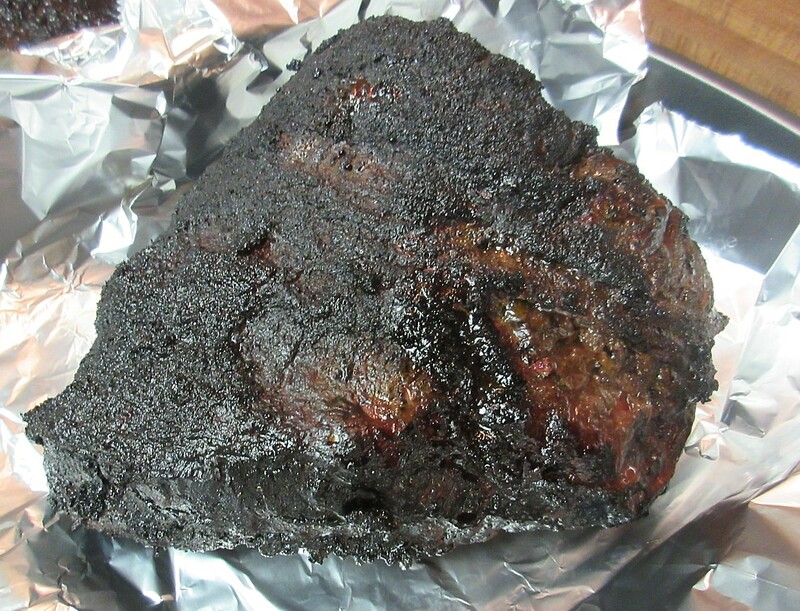 She kept the oak and pecan smoke flowing for 9 hours. 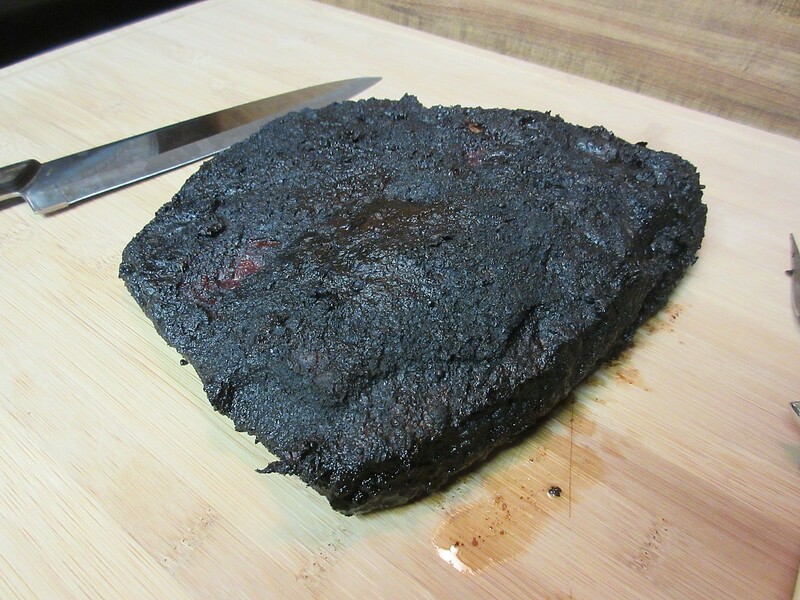 Here's the final product after 5 hours wrapped in a 250 degree oven. It also makes the house smell wonderful! The point end was just a bit overcooked and I had to slice it pretty thick. The flat turned out perfect with just a slightly crusty bottom. The fat is completely rendered throughout and the bark has a deep wonderful smoke flavor. After it cools down a bit in the fridge I'll probably bag half of it for freezing. That's going to be some good eating for $1.67/pound. Our first couple of visits to Lockhart Smokehouse were less than impressive. However since then we have had some very nice BBQ from them at various festivals. Jill even called me out at Tyler last year and said they'd improved a lot and I owed them another shot. I agreed, based on what I have had at festivals. My excuse to make the drive happened last week when they booked a blues act I really like, E.J. Mathews. We arrived at about 7 pm and found a line of about 20 in front of us. My Mrs went and grabbed a table and I waited about 15 minutes to order. From the conversations I was hearing in line, there were a lot of first timers. 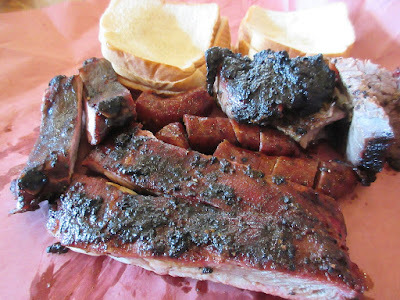 They seemed to have plenty of food on hand so I ordered half a pound of fatty brisket from the end, 2 spare ribs, 2 baby back ribs, a jalapeno cheese ring, and a small jalapeno mac and cheese. 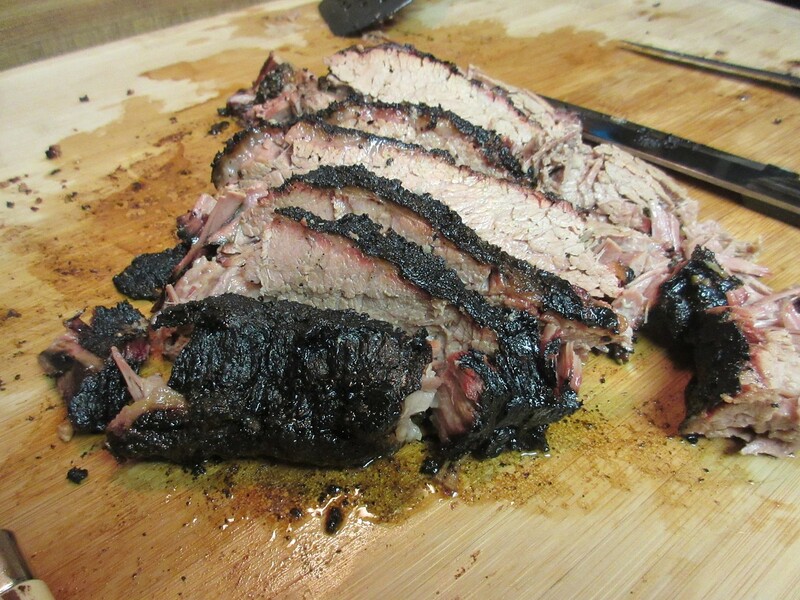 I was happy when the cutter pulled out a fresh rack of spare ribs and cut me two big bones from the center. Just as I like them and I didn't even have to ask. 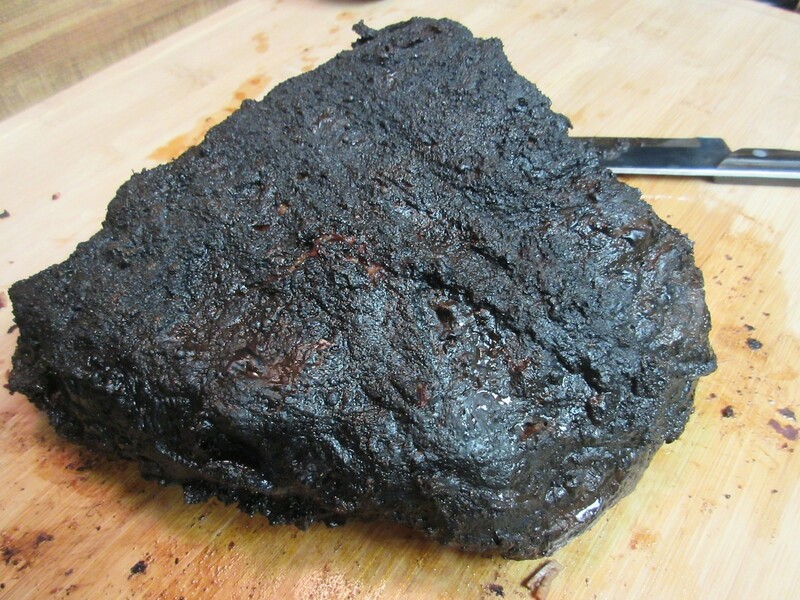 The brisket was really nice. 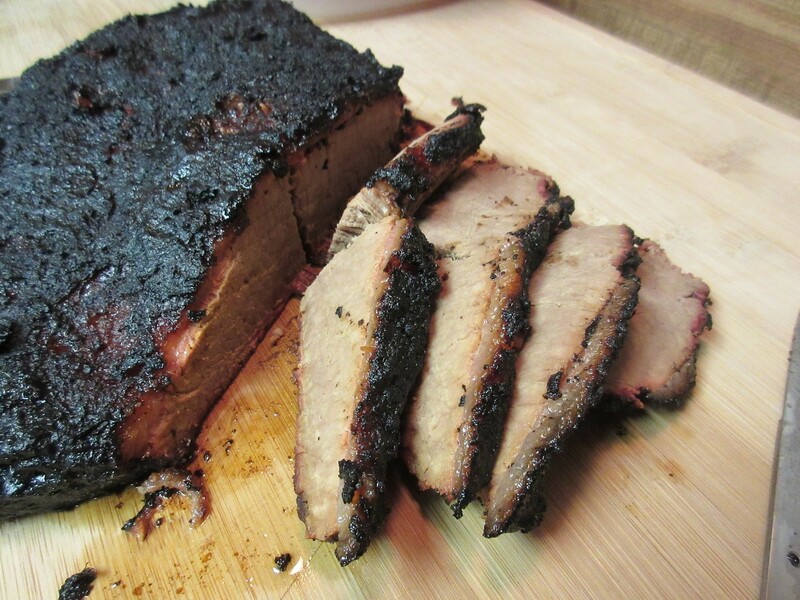 The fat was well rendered and the smoke flavor was good. 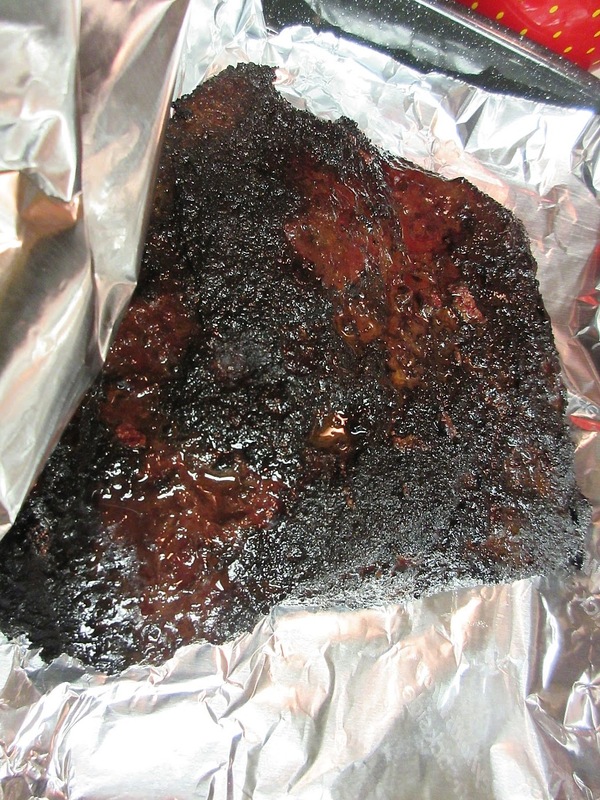 The beef was moist but not a bit mushy with a slightly crispy bark that was full of flavor. There was a big chunk of fat, but that's not surprising considering I asked for a chunk off the end. I liked what I got and I'd do it again! The spare ribs were another story. They looked beautiful but were very chewy. You had to gnaw the meat off the bone. The flavor and moisture were good, but they were just tough. They had another chance with the baby back ribs, but the story was the same. Yes, it's a fine line between too tender, falling off the bone, and too tough, but I'd vote for too tender every time. My Mrs agreed and we left one of each untouched. The jalapeno mac and cheese had nice chunks of jalapeno and a good spicy kick when you got a bit of green. However the jalapenos were few and far between. The sausage was good ol' Kreuz quality. I still have a bunch in my freezer and had been eating on them (with some Franklin brisket) over the last week. However I usually peel off the tough casing before I warm them up. 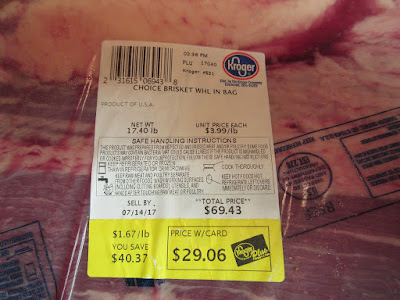 The exact same sausage costs $2 in Lockhart versus $5.25 in Dallas. The bottom line though is that they seem to be doing a booming business. They have a new location up in Plano and have just announced a future location at a big development in Arlington. They are also top 50 on Texas Monthly's new list and they have food in the evening. Many other joints sell out and close by 2 pm. 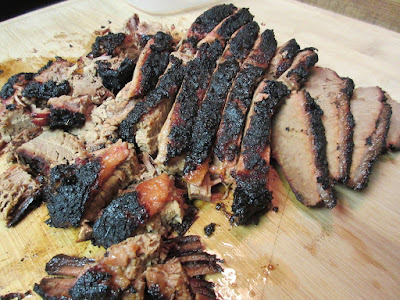 Overall, I wish I'd skipped the ribs and had gotten more brisket. The music made the trip worthwhile and I'd go back again, when there's some good music.